Where do I find a New York City lawyer? New York City is host to a number of Bar Associations, sorted by interest and ethnic and cultural identities. In addition to these organizations, there is the voluntary New York City Bar with over 23,000 members. The Legal Referral Service will be able to help you find a lawyer that can assist you with your legal issue. It is important to obtain the services of a local lawyer, especially when dealing with a legal matter in a large metropolitan area such as New York City. Many laws will be different and often stricter in these areas and a local New York City will have the experience and knowledge of New York City legal matters to provide the best representation. Weapons control is already tough in New York State, with the Sullivan Act making the possession of any concealable firearm without a license a misdemeanor and carrying that weapon a felony. This is significantly stricter than other states that do not require such licenses or impose less harsh penalties. The issue of licenses is at the discretion of the state authorities and individuals may be denied a license for any reason. In New York City, this means that very few people are allowed carry permits. Additionally, even long guns, such as rifles and shotguns, must be registered and the own must have a licensee, which are stricter requirements that the rest of the state and most other states in the country. What are organizations of New York City lawyers? The New York State Bar Association is a voluntary organization and its members are subject to high professional and ethical standards. The NYSBA maintains a number of services for member lawyers, such as a lawyer assistance program and professional training for younger lawyers. This Bar Association maintains a low cost lawyer referral service that will even waive the typical referral fee of $35 for accident cases. The lawyer referral service will not cover referrals to New York City lawyers, as this is left up to organizations such as the New York City Bar Association. However, membership in the state bar association is generally a strong indicator that the New York City lawyer has been vetted and may practice law in New York state. Feel free to use the state bar referral service if your legal matter concerns other parts of the state and not New York City. 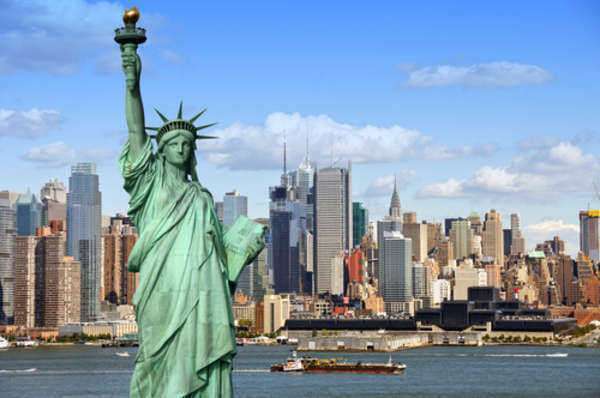 There are a number of additional bar associations that are located in New York City. This includes the New York County Lawyer’s Association and the New York City Bar Association. These two organizations combine to provide the Legal Referral Service, which can refer New York City residents to a lawyer in a number of specific areas, including landlord/tenant law, legal malpractice law and worker’s compensation law. There is no cost to use this service and all participating lawyers are prescreened to determine their suitability. The lawyer will charge up to $35 for a half hour consultation unless your case involves personal injury or negligence. This screening process has the lawyer explain to a panel their experience in the specific field of law they are applying to receive referrals including details on clients represented and verdicts won. After the screening process, the individual using the lawyer referral service can be assured that they will receive quality representation. The National Lawyers Guild is a lawyer’s organization that maintains a considerable presence in New York City. Here, you will find a number of New York City lawyers that work on traditional liberal and progressive legal topics, such as environmental law, civil rights issue and the rights of protestors. What are the typical rates of a New York City lawyer? There are various fees that are accrued when consulting and retaining a lawyer. It is important to be aware of these fees. Hourly rates are exactly what the name implies and you will negotiate the rate to be billed, by the hour, prior to accepting services. This may be a hybrid arrangement with flat or retainer sees in addition to paying hourly for the lawyer’s time. You should be able to get all fees in writing from a reputable attorney. Be aware of unreasonable fees, illegal activity or coercion on the part of the New York City lawyer. State and local Bar Associations will maintain dispute resolution and grievance services for clients that have issues with their New York City lawyer. A contingency fee is a percentage of the award that an accident, negligence or malpractice lawyer is entitled to claim if they win the case. Nearly all New York City lawyers will accept cases on this basis and the fee can range from 33-40% of the award. Contingency fees for medical malpractice cases are limited, by law in New York City. This fee is sometimes (but not always) lower when the case is settled out of court, as it saves the lawyer’s time. These fees are generally non-negotiable unless regulated by law or accompanying a case with the possibility of a substantial award. Free services may be available to low-income families as well as no-cost consultations. Some insurance plans will cover the cost of attorneys in accident liability cases. Typical pro bono work will be for family law or divorce issues while most accident and negligence case will rely on a contingency arrangement, unless the indigent person is in need of the entire award, due to substantial damages or economic need. Every lawyer will have a different style and approach to legal work and you must choose a lawyer that you are comfortable working with. The busiest lawyer is not always the best lawyer, although the New York City lawyer with a low traffic law practice may not be the best bet. The factors you should look for when evaluating a lawyer is ease of communication, professional demeanor and confidence. You will want a lawyer that is not only capable, but will make a compelling case in court or at settlement. A lawyer that does not maintain a professional demeanor will compromise your case but may force you to go to trial unnecessarily if the New York City lawyer has animosity with the other party’s lawyer. This will almost certainly undermine both the credibility of your case. What are questions to ask New York City lawyers? Are you an active member, in good standing, of any bar association? Laws in New York City tend to be much more complicated and severe than other parts of the country. Gun laws in particular, are stronger in New York City, which makes a lawyer in New York City essential. Lawyers in New York City will be experience in practicing in the jurisdiction as well as relevant local laws that will be applicable to your case. Lawyers in new York city will generally be a member of a voluntary bar association which will maintain standards of professional and ethical conduct that must be followed by member lawyers. If you are looking for a lawyer in New York City, any Bar Association, but especially the New York County Lawyer’s Association and the New York City Bar Association with their lawyer referral service will be a valuable asset.